While perhaps best known for her acting career, which included roles in such films as The Sea Wolf, High Sierra, and The Man I Love, as well as television appearances on shows like The Twilight Zone and Barnaby Jones, Ida Lupino is perhaps most notable for being the only widely viewed female director of the 1950's. In fact her work as a director, which she cultivated while on contract suspension by Warner Brothers for stubbornly refusing Bette Davis' hand-me-down roles, is perhaps even more accomplished than her acting career. 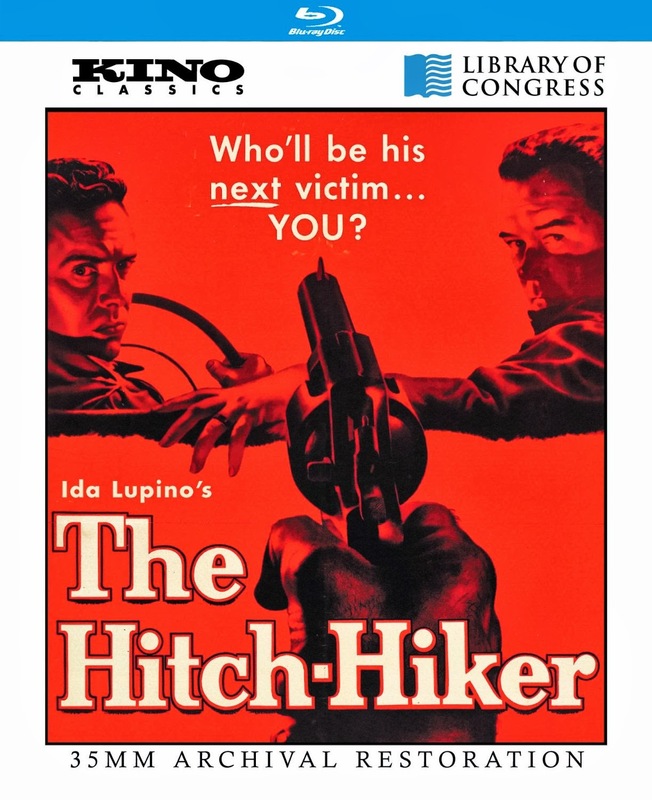 Besides directing countless TV episodes of Gilligan's Island, Bewitched, The Twilight Zone, and The Fugitive, Lupino also helmed the feature films like On Dangerous Ground (for which she didn't receive credit) and The Bigamist. 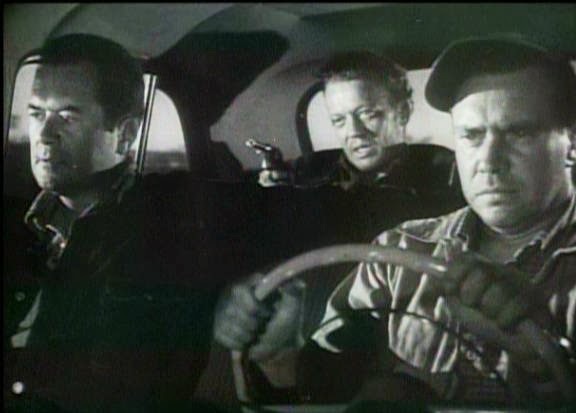 It would be hard to argue, however, against her best film being The Hitch-Hiker (1953), a feverish, 70 minute nightmare about two unsuspecting travelers (Edmond O'Brien and Frank Lovejoy) who pick up a murderous fugitive (William Talman) who has left a string of dead motorists in his wake. The film has that unmistakable 1950's ripped-from-the-headlines sensationalism about it, and was indeed inspired by an actual event. But Lupino directs with a sparse, pared down style that emphasizes suspense over the usual social warnings of such films. At a little over an hour, the film moves at a breakneck pace, but never feels rushed or frenetic. It's a taut, tense thriller that makes the most out of its film noir atmosphere and simple, horrific concept. In fact the concept was so horrific for the time that major studios refused to film it, paving the way for Lupino and her screenwriting partner/ex-husband Collier Young to work with blacklisted screenwriter Daniel Mainwaring. There have been plenty of hitchhiker movies since The Hitch-Hiker, from Hitch-Hike starring Rutger Hauer, to The Hitcher and its subsequent remake, but none of them have quite tapped into that primal fear of "this could happen to anyone" quite like this one. The Blu-ray release by Kino Lorber may be bare bones, but it certainly looks great, and credit must be awarded for restoring and releasing this all but forgotten genre classic. It's a lean, mean, nasty piece of work that deserves to be rediscovered. Now available on Blu-ray and DVD from Kino Classics. Lupino also directed nine episodes of BORIS KARLOFF'S THRILLER, including two of the best installments--"Guillotine" and "La Strega" as well as the lovely, lyrical "Mr. George." 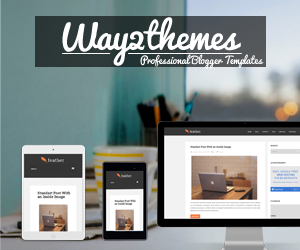 But THE HITCH HIKER is essential and you've given it a splendid red carpet treatment here. A must-buy blu-ray!